February 19th, 2018 | Comments Off on Divorce—Desertion—A husband does not have a right to insist that his wife who is working and looking after their children? give up her job and reside at a particular place. January 30th, 2018 | Comments Off on Divorce -Cruelty—Filing of complaint—Seeking recourse to a legal remedy available to a spouse cannot be constituted to be an act of cruelty. 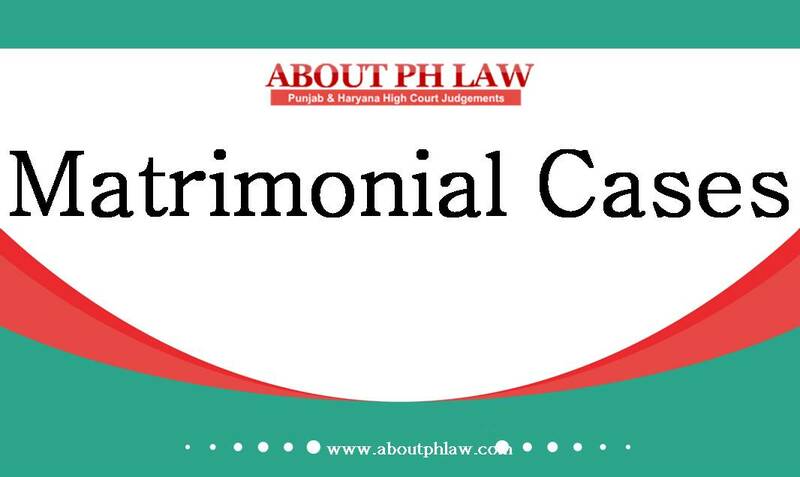 July 9th, 2017 | Comments Off on Divorce–Ex-parte Divorce—Divorce proceedings under the Hindu Marriage Act, 1955 are not trial proceedings in a suit where, as per the Code of Civil Procedure, trial Court is bound to frame issues.